No Red Dye, and its Delicious! 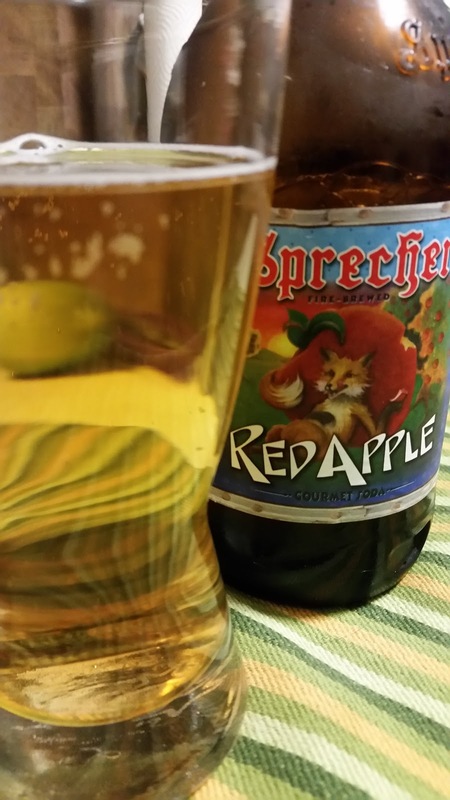 The Red Apple from Sprecher I had was more akin to a lightly carbonated Martinelli's Apple Juice. There was no dye, or too sweet apple candy flavor, and little to no aftertaste, which I personally was hoping more for more of a lingering finish. 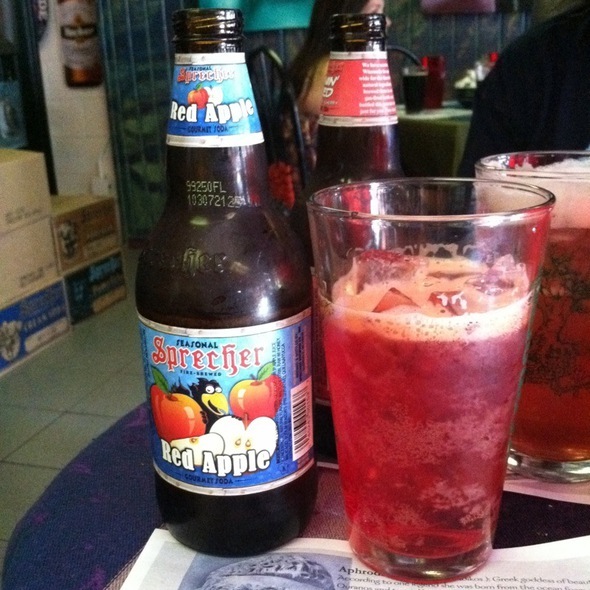 The soda is delightfully flavorful, and I could see sipping on this on a hot day, bottle after bottle, where you don't want something annoyingly sweet, and a nice refreshing crisp and clean finish. Very similar to a nice pure cider, seemingly sweetened with just the apples sugars (though they do use glucose syrup), and mildly carbonated for that delightful bubbly effect. I could also see using this soda in various cooking applications, basting of a country ham, condensing into a syrup and using it for baked fruit, like a pear, or pineapple. I would recommend this soda to friends who enjoy apple juices/sodas as well. bottles with the red fox on them!